The binoculars are absolutely wonderful for the daytime. They are lightweight, extremely clear, easy to adjust, comfortable to hold, and I love the caps that came with them for the lenses. Further, they look cool! However, I purchased these specifically because they purported to also work at night, and I have not found that to be true. They work better than my previous set for nighttime viewing, but everything is still quite dark and hard to see. That being said, I am still keeping these to replace my previous pair because of the aforementioned excellent features for daytime viewing. I really love them! It’s impossible to focus these with both eyes open. Basically all I can use them for is a monocular keeping one eye closed. I bought them to see targets downrange when shooting rifles, and they don’t measure up. Should have spent more for a known brand and quality. I can’t recommend these to anyone. You would guess these cost $1200 or more and work better. 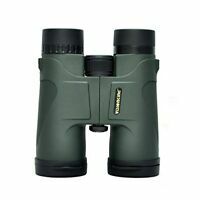 This is an very well made, excellently constructed optical instrument for its price. It is much clearer than my Bushnell 20x50. No chromatic aberration, no discoloration on lenses. Clear circle of view. Should have saved my money spent on it and used it for groceries. Does not look like the picture, completely black. That's really a small consequence. the magnification is not all that good. 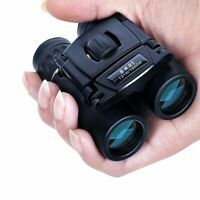 I have two pairs of cheap binoculars and they are of a similar quality to this model.